This section of lecture 16 is a continuation of the previous lecture. RCE to allow the register rc value to be read. 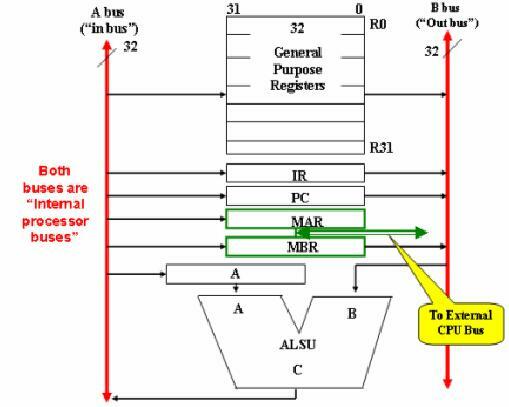 R2BUS allows the bus to read from the selected register. RBE to allow the register rb value to be read. rb value is the branch target address. met. In this way, if the condition is met, the program counter is set to the branch address. The control unit is responsible for generating control signals as well as the timing signals. what to do in every clock cycle during the execution of instructions. 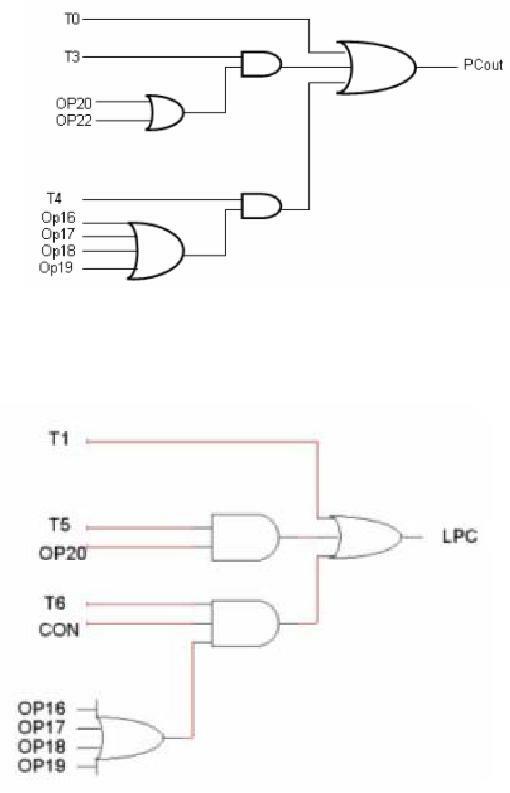 primarily two approaches to design a control unit. micro-programmed implementation is usually slow, but it is much more flexible. given to the control unit). 4. Signals from external events, like "Interrupt" generated by the Interrupt generator. 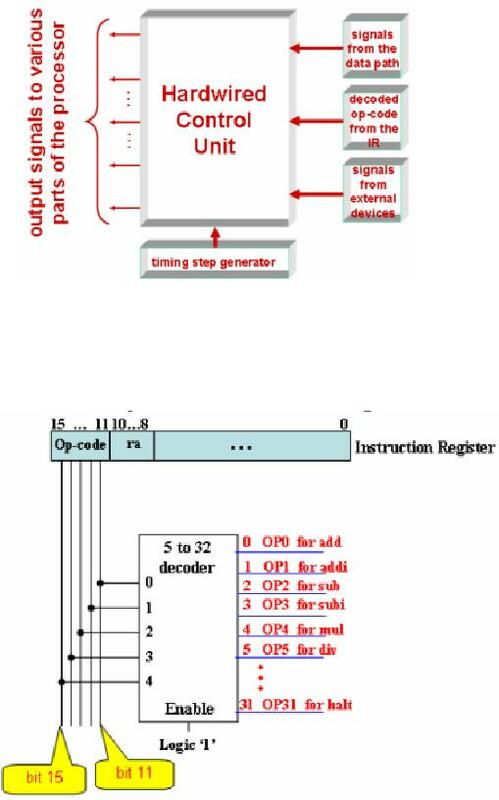 Register is decoded to generate a set of signals for the Control unit. 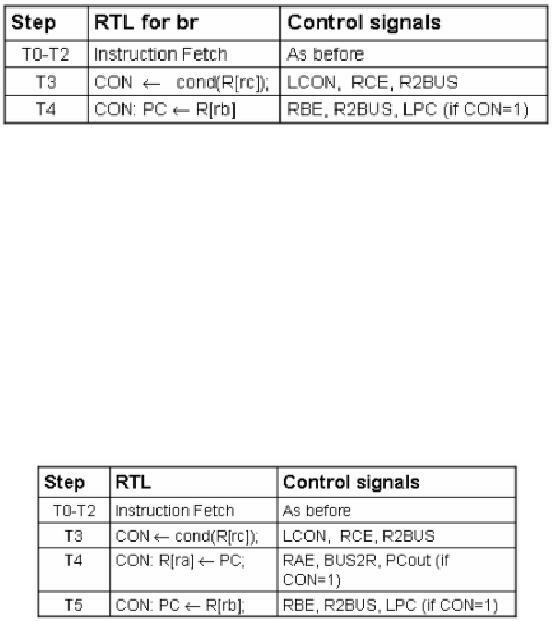 This is an example for the FALCON-A processor where the instruction is 16-bit long. instruction executing on the processor. 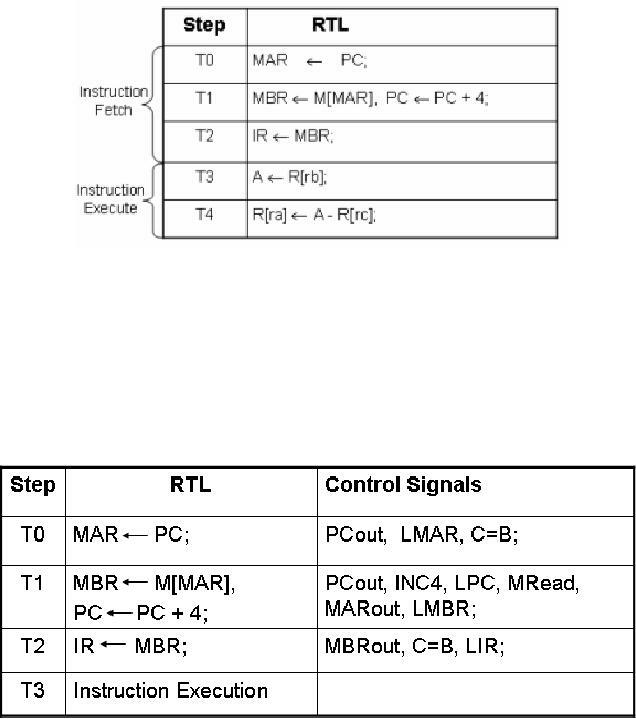 Equations for some example control signals. particular, if different gates are cascaded, the output of one gate forms the input of other. frequency of the clock which controls the generation of the timing intervals T0, T1... T7. 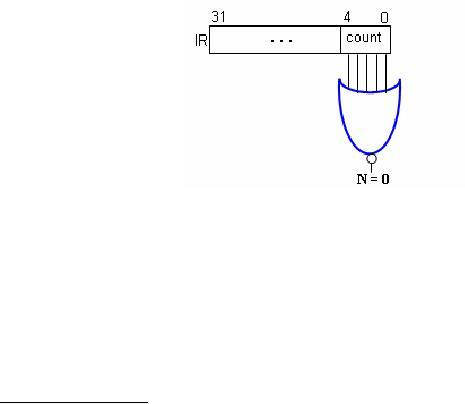 from this figure that there is a bus provided for data that is to be written to a component. these components. It is called the `out' bus. carrying out instruction fetch, and execution for the sub instruction. step T4, the subtracted result from the ALSU is assigned to the destination register R[ra]. generator is initialized to T0. · INC4: To instruct the ALSU to perform the increment-by-four operation. incremented value can be written into the PC if it is made available on the "in"
bus. Note that the ALSU is assumed to include an INC4 function. · MRead: To enable memory word read. 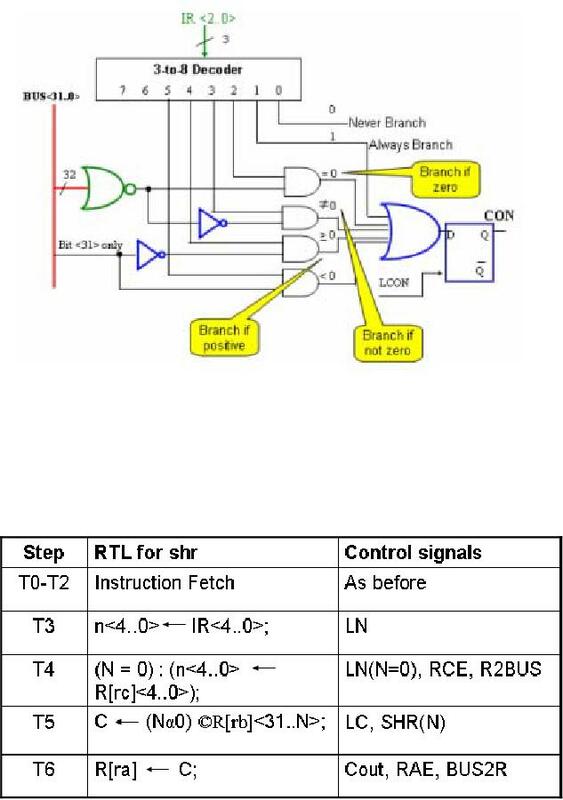 register) by applying this control signal to enable the write of the MBR. 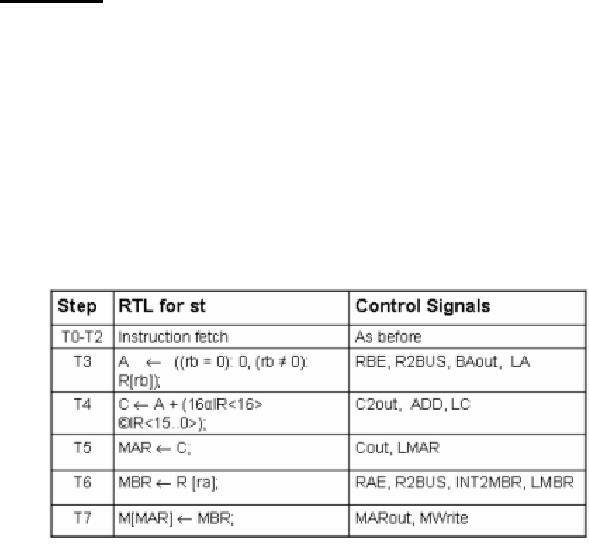 `out' bus, by means of applying this signal, as it enables the read for the MBR. `in' bus, so it can be loaded into the Memory Address Register. instruction that is on the `in' bus is loaded into this register. instruction fetch phase are the same for all the instructions. Note that, we assume the memory to be fast enough to respond during a given time slot.